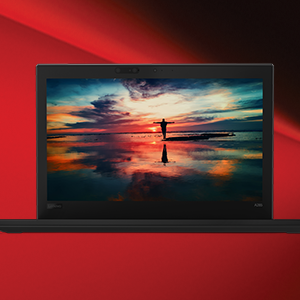 Buy Lenovo ThinkPad X1 Carbon 14-inch Laptop (8th Gen Core i7-8550U/16GB/Windows 10 Pro/Integrated Graphics), Black @ 15% Discount. Engineered for comfort and typing accuracy, you can work quicker, better & faster with this larger touchpad and ergonomic keyboard. 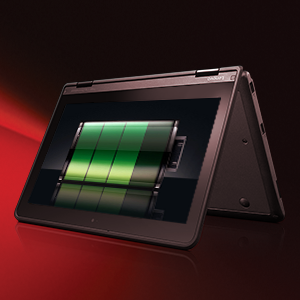 Do more without worrying about battery life with quick charge technology – up to 80% charge in less than 1 hour. 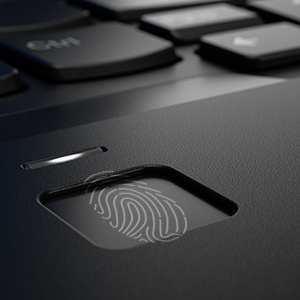 The user's finger print data is stored in the sensor chip which enables one-step unlock and improves security. 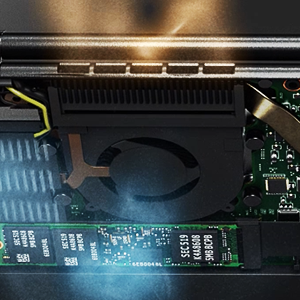 Boasts powerful 8th Gen Intel Core Processors, PCIe SSD storage & a Thunderbolt port. 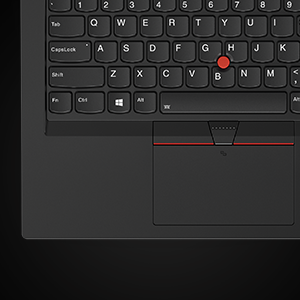 The ThinkPad X1 Carbon will drive your business forward. Install Windows 10 Pro and let Cortana look for your files, manage meetings and update your calendar. The owl wing inspired fan ensures superior cooling for the machine; making it thinner, lighter and a lot more quieter. 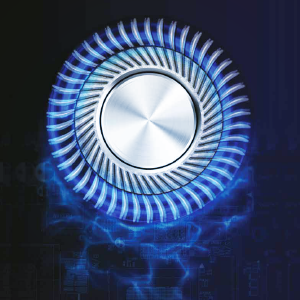 Think Engine enables better thermal and power efficiency, improved standby, faster resume time and enhanced security with anti-tampering measures. The mechanical tamper detection switch can prevent the system from powering on in case of an invasion. No business is truly professional if it can't hold smooth meetings with the best video and audio quality. The 720p HD camera with dual array microphone lets you do exactly that. 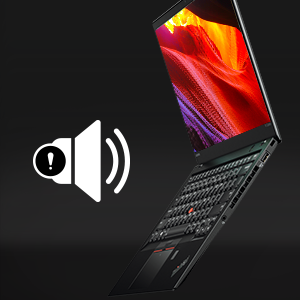 All ThinkPad 2018 products support a new set of audio diagnostic codes (tones) that can be “heard” by the Lenovo PC Diagnostics App, which then identifies the failure condition of the system, and can also transmit the serial number of the system for warranty status lookup. 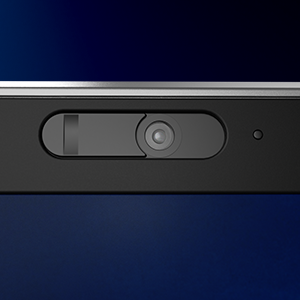 The ThinkShutter's next-gen security protects your enterprise's privacy with a sliding cover on your front-facing camera. The accelerometer detects the power consumption and cooling of the system, while keeping it 15% cooler & 10% quieter when resting on your lap. A new 500-nit LTPS display offers a bright, crisp image without sacrificing battery life, system thinness or durability. 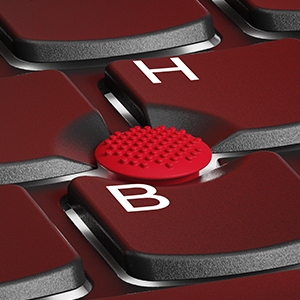 Select and drag without moving your fingers too far from the keys, saving time and physical effort with the TrackPoint nub. 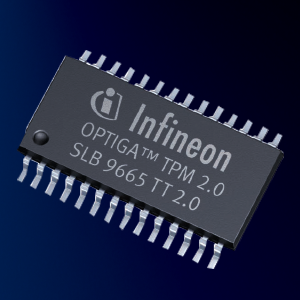 The integrated firmware, Trusted Platform Module (TPM), works with Windows 10 Pro Bitlocker to encrypt your data and passwords. 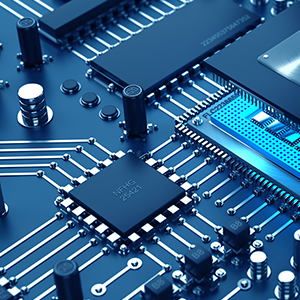 Active Protection System (APS) locks the hard drive when it detects a fall, protecting against data loss (not available for SSDs). 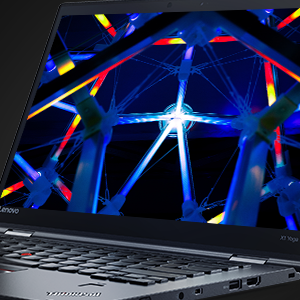 Ultrathin, ultralight, ultra-wow. 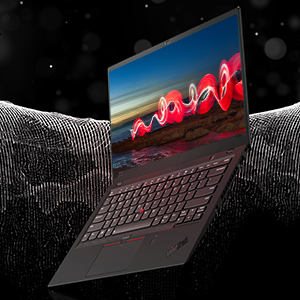 The latest ThinkPad X1 Carbon with its stunning soft-feel cover with blacked-out ID logos merges beauty and durability to create the ultimate in mobile productivity. The optimized Dolby Vision™ super-bright HDR display and enhanced fingerprint reader set the aesthetic bar high, while advanced performance features like Wake on Voice and Rapid Charge captivate those who are ready for serious business. 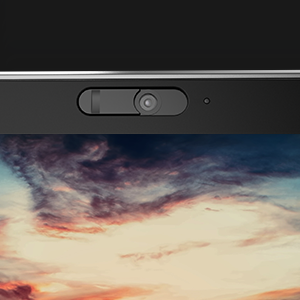 The new Think Shutter mechanical camera cover and Windows Hello with fingerprint reader elevate security to redefine uncompromised. Watch out, world. Here you come. Be at ease as it comes with default 3 year onsite warranty, 1 year Premium Support, 3 year accidental damage protection and 3 year international warranty. Rapid charge. Military spec certified – tested and worked in extreme conditions. Touch fingerprint with Anti-Spoofing. Ultra sleek with narrow bezels. Durability with military spec methods testing: Relative humidity of 95 percent at 30-60 degree C. 140 mesh silica dust for 12 hour cycle. Fuel vapour environment. High acceleration and repeated shock pulses. Tests operations at 15,000 feet while running. 28 day fungus cycle. Ultra-portable and ultra-secure so you can be ultra-productive. 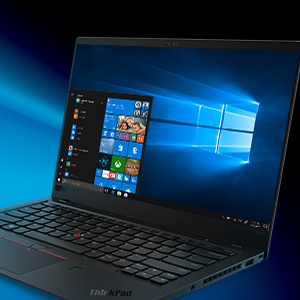 Best Cheap Deals For Lenovo Laptops, Grab Cheap Lenovo ThinkPad X1 Carbon 14-inch Laptop (8th Gen Core i7-8550U/16GB/Windows 10 Pro/Integrated Graphics), Black Online.